In 1986 when I first set out to write music on the Commodore 64, I was mindful of the impressive catalogues from legends like Rob Hubbard and Martin Galway. The SID chip was a fully working synth capable of sounds that even now are impossible on other synths. However, it only had 3 monophonic channels and Rob and Martin pushed it to its limits. They set the bar high. At the time I wasn’t sure if I’d be able break through into games music, let alone compete with them. But after a few early hiccups, 1987 saw my entry into the industry with well received SID tracks including Quedex for Thalamus and Driller for Incentive. Soon, I found my SID music was in demand. In 1988, I was lucky to have the opportunity to produce the whole soundtrack for System 3’s Last Ninja 2, the sequel to a C64 mega-smash. I was given free rein to produce the coolest music I could. The game was an international smash selling millions of units. But that was then, and I was amazed to discover some 25 years later that there was still a thriving global community of SID and LN2 fans listening to the original tracks, and producing remixes and remakes. I started to imagine just how far I could have developed my game soundtracks if I had the technology then that was available now. The boundaries were now limitless. What if I revisited some of the soundtracks and remade them? What if I used elements of the original SIDs but enhanced the areas where I had to compromise originally? The preview racked up 5,000 plays on Soundcloud in 2 days (a feat normally reserved for much bigger artists and releases). I also received a ton of high praise and messages from fans (thanks! ), And so it was that I decided I should take the time to shoot for a bigger project – an extended album of remakes based on my best loved C64 tracks. “Reformation” will be an extensive album of hopefully-stunning new remakes, featuring all of my best C64 tracks, plus stretch-goal surprises. Thank you for agreeing to doing an interview it is an honour to interview such a talented musician. What did you want to do for a career when you were at school, and what was your first job? I knew I wanted to do something involved in music or film from an early age and then in my teenage years once I got a computer that edged towards music. My first job after leaving school at 16 was as an office clerk in a local import/export company. When did you realise you wanted to get into the game industry, and how did it happen? Probably in 1984 and certainly once I got a C64 in 1985. I started dabbling with music on it before I left school. But it was whilst I was at my office clerk job that I really got into coding & developing my C64 SID player in my spare time with a view to making commercial games tracks. That was late 1986 and within a year I was getting commissions and was able to go full time games musician in Jan 1988. What was your first Computer? Would you say this was your favourite computer? A ZX-81 which was great at the time, but no, not my favourite. The C64 holds that mantle. Apart from my Mac obviously. 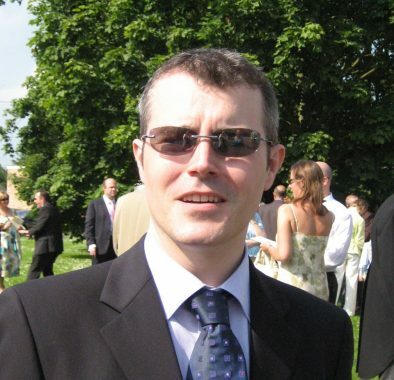 You have a very impressive CV, working on many C64 games. Which was the easiest score to compose and which was the most challenging, and what kind of challenges were there? 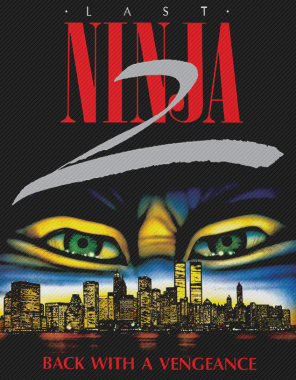 Last Ninja 2 was mainly easy because I had a free hand & could try things out. Driller was challenging because it was so long. The real challenges came once you hit the ceiling of the SIDs capabilites though. My last few games tracks I did on the SID were starting to become a chore & it shows a little in the compositions. I think I was a bit bored with the SID and there were countless samplers & synths becoming available that I wanted to try. How did you connect with the demo scene? Purely through Compunet. It was there that I connected with various coders & artists which ultimately lead to my first commission. What is you most favourite music you worked on? Has to be Last Ninja 2 because it was a full soundtrack across multiple levels & loaders which allowed me to try many styles & ideas. What formats have you created on, which was the easiest to create music on, and which was the most complex? I’ve only created games music on the 64 up until recently. But obviously now it’s just a case of making music as an audio file, so any platform is possible. So C64 wasn’t easy to create on, it was quite complex, but that was partly why not many were doing it. What C64 games did you work on? Please include a list of titles and some details about the music? Quedex – This was my first big break. I had the loading tune already made as a Compunet demo. Programmer Stavros Fasoulas & Thalamus boss Paul Cooper came to my house to go through the game and I finished the in game tracks and SFX a few weeks later. It was the first game to feature my own SID player which I would go on to refine & expand as each new game came along. Driller – Took several weeks to complete (the hurrican of ’87 left me without power for nearly 2 weeks) but I was pleased with the results & response to it. Hunter’s Moon – I did all the music for this contrary to what some believe. Martin Walker the programmer was a musician but didn’t have a SID routine at the time, we often discussed the music over the phone. So people assume he did the music as he did for future games. He was a very pleasant guy to work with. Bankok Knights (Loading only) – This was my trial by fire at System 3. Rob Hubbard had done the in game music and they needed a loading track fast. I literally turned it around within a few days and they liked it so much they offered me the in house musicians job straight away, albeit working from home. It led to my next project which is my proudest SID set. Last Ninja 2 – I started on LN2 in January 1988 and it was completed by May with about a month gap. 13 tracks were made and they used them all. It was great to just do what I felt was right and not have to do any SFX. A dream project really. Tusker – I spent some time at System 3’s new offices whilst making this and Dominator. The team had changed a fair bit and I was starting to get more interested in dance music & pop production. But I think this set of tracks turned out well, especially the Desert & Village levels. People tell me the Village track reminds them of The Prodigy’s Voodoo People, but that hadn’t even been made when I made this track, so no plagarism. Dominator – I did several tracks for this & the dreaded SFX. But they left the best track off the game. It was used for a demo but taken out of the game. I don’t think System 3 liked the music much, but I think it’s ok overall. Vendetta – A very dark laid back track was used for the innovative intro to the game, but the other track I did for it wasn’t used. Possibly because it was a straight cover of a Yello track. Anyway it never saw the light of day. 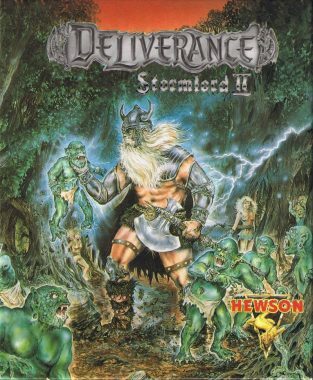 Stormlord 2 Deliverance – I did several tracks for Hewson. This was the last C64 music set I ever made. Mazemania – Another Hewson set. Not my best work, but not my worst. 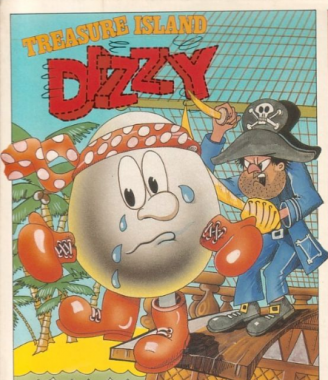 Treasure Island Dizzy C64 & NES – This was a cover of the exisiting Dizzy theme and then a few new tunes for Codemasters. By then Codemasters had me working on the NES whch was 6502 also but the sound chip was not in the SIDs league. It also had limiting factors across it’s channels, they were not all the same. Micro Machines NES – This was the only time I composed directly for the NES and it’s a bit of sore point because not only did I not get credited for the music & SFX, I didn’t get a promised small royalty. The game was hugely successful & I didn’t benefit from any of it’s success because nobody knew it was me & I didn’t earn a penny more than the £300 I was paid to do it. I left the games industry shortly after. KGB Superspy – I like these tracks on this but the game didn’t do too well I think. 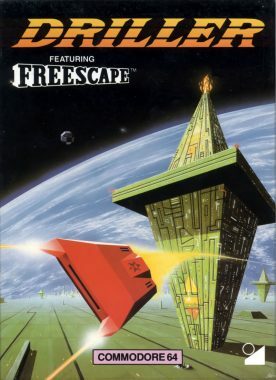 Hyperion 2 – The game was never released but the track is a favourite of mine. Pro BMX – This apparently has been used a gazillion times for scene demos. One of several tracks I did for Codemasters. Motocross – Another Codemasters track. Fruit Machine Simulator – My first Codemasters commission for £150. Took an evening to do. I’d been talking to Richard & David Darling for over a year about getting into the industry & they helped me on my way. Mean Streak – My very first commission but the music was re-coded as I didn’t have a proper SID player at that time. They ruined the music. It was awful. Yogi Bear – Same company as Mean Streak and very forgettable. I’m amazed I got any further work after these first 2 efforts. I have fond memories and I feel the music soundtrack is an integral part of the game. Did you play the games to get a feel for the music you were going to create? Not really. Often you only got see some screenshots or maybe a storyboard. With LN2 I had the original as a reference, but very often all you had to go on was a phone conversation and brief explanation of what the game was. Can you please educate us as to the process you would go through when creating music for a game? On the C64 it was basically working out melody & chord ideas on a small 3 octave casio keyboard and then inputting the data manually via a 6502 assembler. I designed all the sounds within my SID player from scratch usually. If you wanted any mod routines on the sound you had to code them. It was real low level coding. Nothing much existed unless you coded it. Once you had something going it was just the usual process of refining it and maybe coming back to it in a few days with fresh ideas. Now using DAWs and plug in synths it’s light years away in terms of workflow. You can literally getting something soundng good in seconds now. A 5 minute track on the SID could take several days or a week. What advice would you give to somebody trying to get into the game sound industry? Well, I’m probably not the best person to ask now. I’m trying to forge my own renewed path back into it and it’s not easy. With the modern ease of production comes a flood of musicians who don’t need to be able to code. And as for triple A games, forget it. That’s like saying you want to score the next Hollywood blockbuster. But in my experience, real talent eventually finds a way through. Just keep making music & putting it out there. If you’re good, someone influential will have their ears on. What inspired you to release Reformation C64 Track Remakes? I’d heard of Chris Huelsbeck’s tremendously successful Kickstarter and it was suggested to me that I could do something similar. But I wanted to make them as synth rock tracks which is basically what I wanted them to sound like originally when I composed them. Once I’d remade LN2 Central Park Loader and it got so much attention I knew I had the right approach to it. Do you plan anymore albums in the near future? Possibly another shorter remake album coupled with a special one off concert. It’s in the planning stage now. Tell us what you are currently working on? I’m actually still finishing the bonus discs on Reformation and I’ve produced a few games tracks for various developers that hopefully will be out at some stage. I did the in game music for Thrust 30 by Hayesmaker Games which is out now. I enjoy some modern games but feel more love for the smaller teams of the past. I feel the fun factor has gone in modern games and are more like movie productions; games can be bug ridden now as patches can be made. In the past we didn’t have updates and in-app purchases. What is your view of our industry now? Well back when I started it was still a cottage industry. The smaller teams were definitley more fun, though I mainly worked on my own remotely. Once it was clear there was gold in the software hills, then yes the industry changed and the big boys moved in as they do with everything industry that emerges. That’s fine, but only really if you’re part of it. It’s much like the record industry in that respect. When you’re on the inside and doing well you don’t view it in the same manner. When things are slow you tend to become more critical of the system. Just human natue I suppose. Is it right you did some of the mix in Cher’s Believe? Not the mix or production. I’m a credited writer on it. Long time ago now. Any interviews with Rob Hubbard or Martin Galway are always interesting to read.